Had a busy day yesterday, finishing off two half day classes. 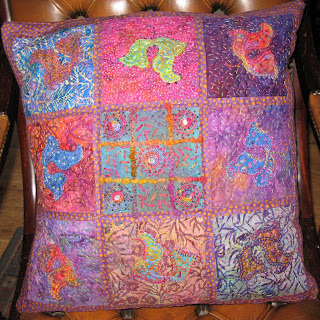 Had a very enjoyable morning with the women sewing the Indian Inspired Cushion. There are going to be some really lovely cushions coming from both of the cushion classes ( I first ran this class on Saturday 23rd March). I will let you see the photos when I get them. My afternoon was spent with some really delightful children, who were finishing off their Mother & Child Fairy Bags. Yesterday, with the help of an adult, they made the fairies and finished off the bag. See the photos, at the top of the page, of some of the children with their bags. They were all so good and it was lovely to see their bags and fairies at the end of the day. 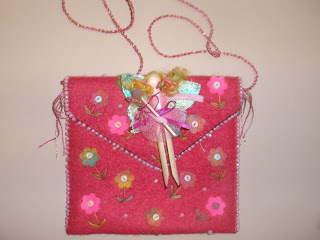 Again, when the bags are finished and I get photos I will put them on the blog.